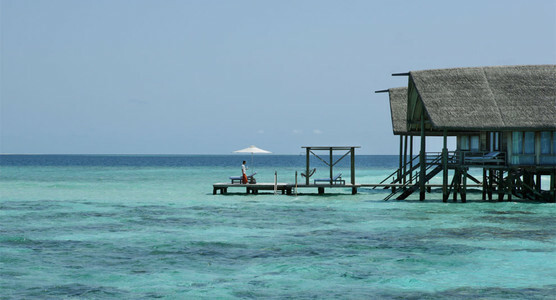 Discover a unique tropical paradise at Cocoa Island by COMO – a 40 minute speedboat ride from Malé. 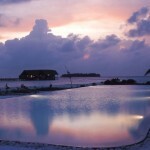 Highest ranked out of all resorts in the South Male Atoll, Cocoa Island is renowned for its sophistication and friendly staff. 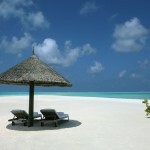 Beaches of heavenly beauty accompanied by seamless service make for a truly blissful Maldives holiday. 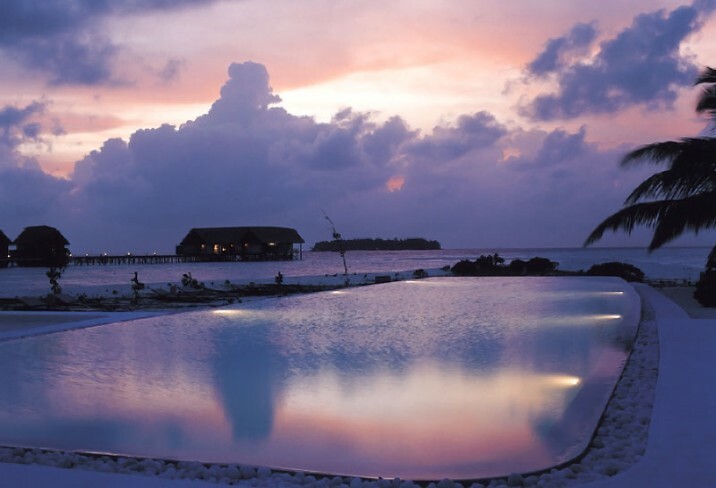 Romantic candlelit dinners by the beach, long swims in turquoise water, uniquely designed bungalows… A stay at Cocoa Island is everything could wish for in a Maldives holiday. 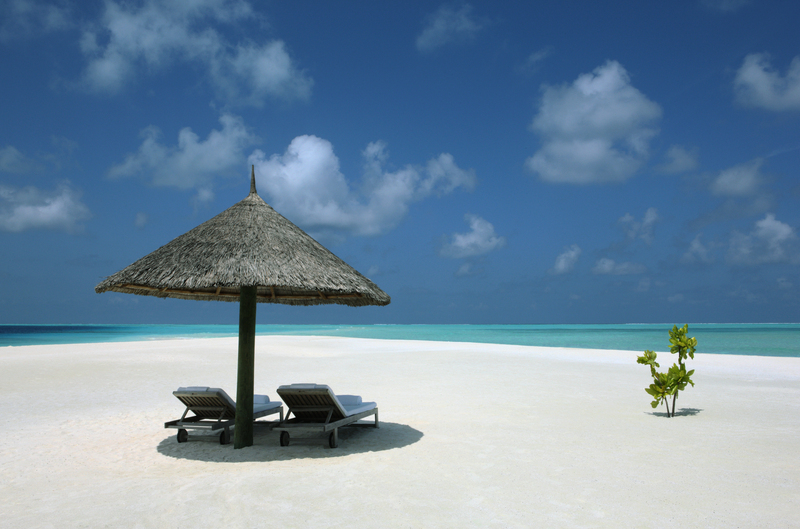 You will be treated like royalty from the moment you set foot on this picturesque island. 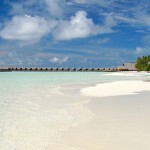 Let Cocoa Island by COMO amaze you. This is one holiday you’ll want to last! 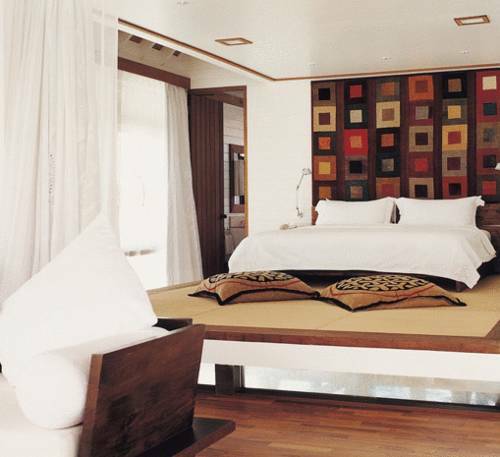 The Dhoni Suite (75 sqm) is a stunning split level suite shaped as a dhoni boat, the traditional boat used by Maldives fishermen. 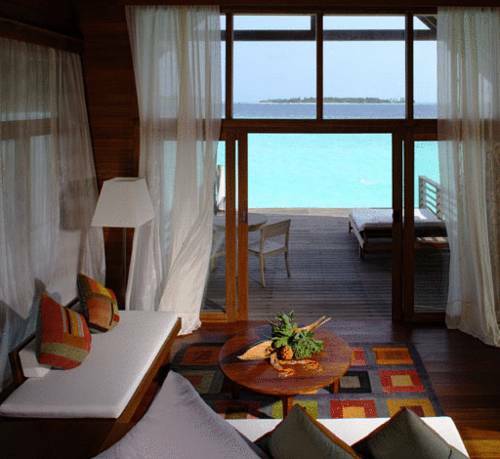 This unique suite includes a private terrace from which you can access the turquoise lagoon below. 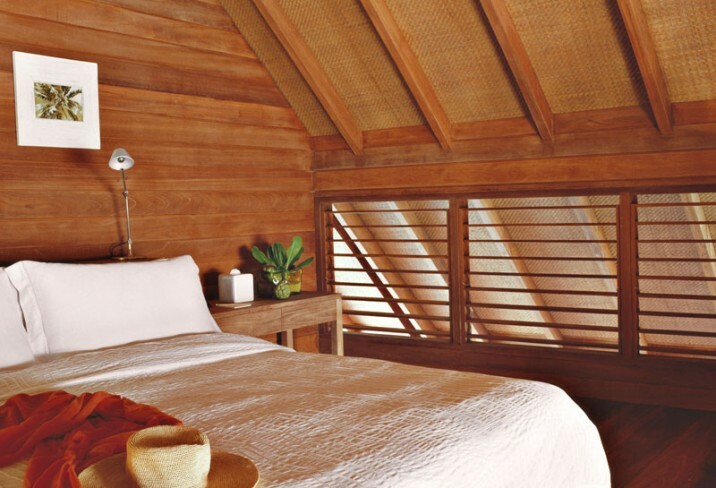 With both indoor and outdoor seating, a Balinese day bed and sun loungers, the Dhoni Suite is ideal for holiday relaxation. 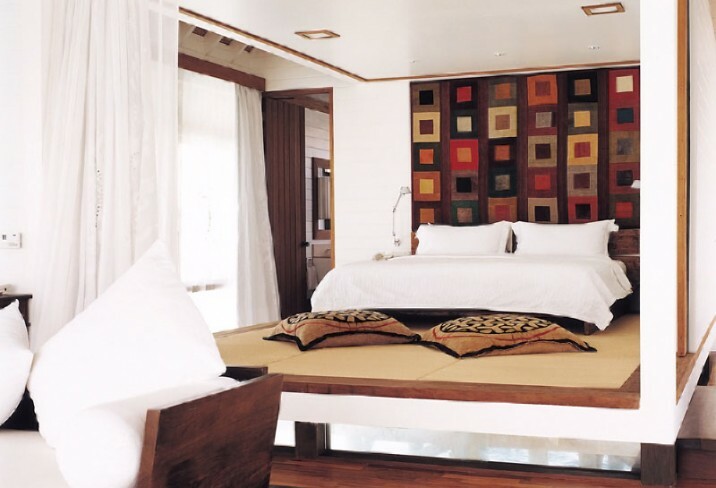 The Dhoni Loft Suite (110 sqm) is suitable for families who wish to stay in a suite with an eccentric design. 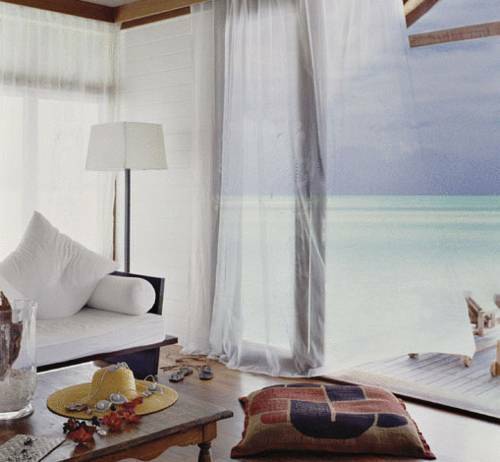 These suites feature a large living area, a stunning master bedroom and a private terrace leading directly into the stunning lagoon. 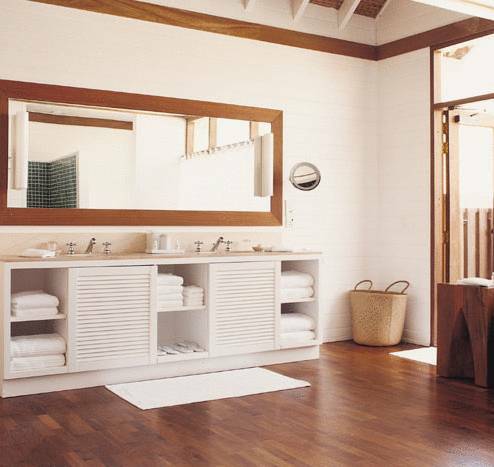 The lavish bathroom includes a bathtub and a standalone shower. 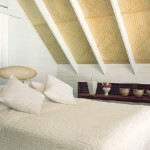 The Loft Villa (123 sqm) is expansive and hovers over the marvellous Indian Ocean, making for picture-perfect views. 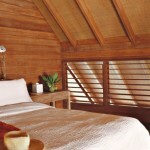 The large living area can provide sleeping space for children, while the loft hosts a lovely king size bed. The private sundeck has sun loungers as well as seating. 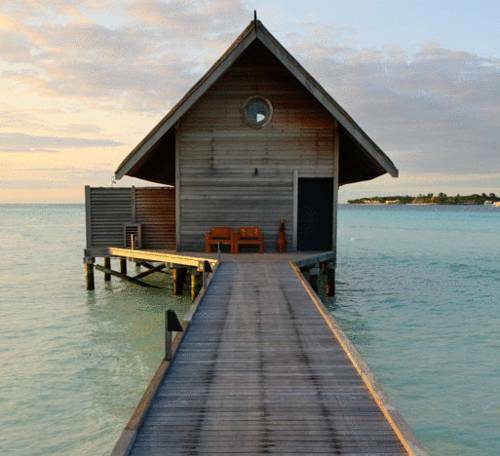 The One Bedroom Villa (125 sqm) is a bungalow style villa full of space and light, situated directly above the crystal clear water. 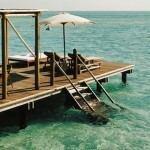 This villa features a private jetty, al fresco dining areas, an outdoor shower, sun terrace and balcony. 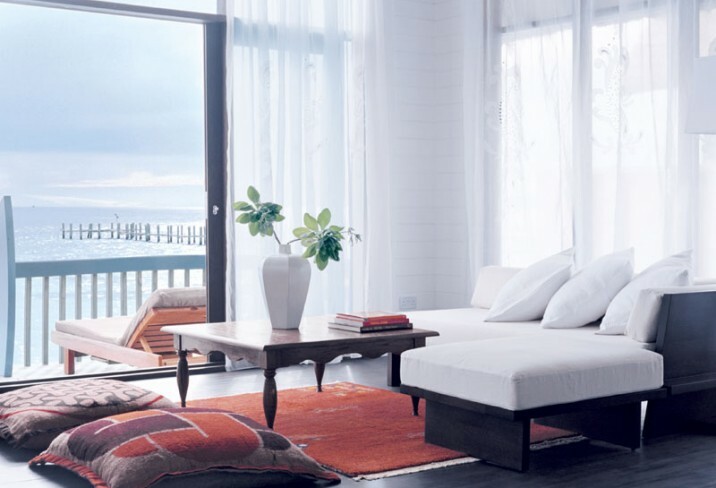 The spacious living area can provide sleeping space for children. The COMO Villas (300 sqm) are the two most exclusive villas of the resort – one is called ‘Sunset’ and the other one is called ‘Sunrise’. During your entire stay, you will have a personal butler to cater for your needs, whether it be arranging a castaway picnic or make the check-in as smooth as possible. 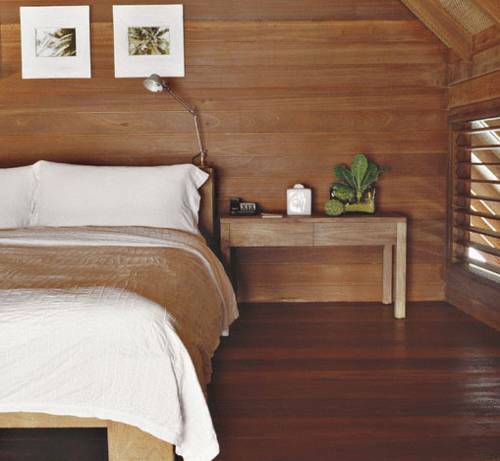 The COMO villas have private jetties making for complete privacy. 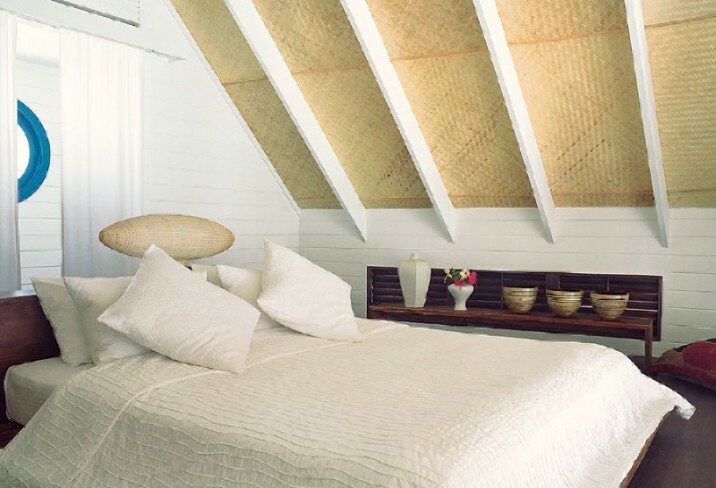 Two lavish bedrooms with ensuite bathrooms, outdoor showers and a large private sundeck leading directly into the lagoon are features of these stylish villas. 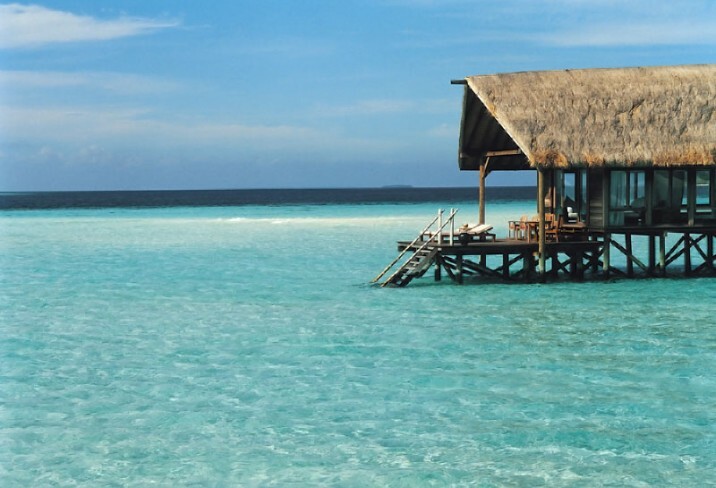 Cocoa Island by COMO has all the facilities you would expect from a five star resort, including multilingual staff and personal butlers (for guests in the COMO Villas). A luxury boutique, library, guest lounge and a stunning 25 metre infinity pool are available to all guests. Other facilities include laundry service, tour assistance and 24/4 manager on duty. Complimentary yoga sessions make the perfect way to start off your Maldives day, before you head to the glorious beach for sunbathing or perhaps go snorkeling in the coral reefs. There are several exciting excursions on offer, including snorkeling excursions, catamaran sailing, fishing trips and sunset cruises – if you’re lucky you can spot pretty dolphins playing in the Indian Ocean. COMO Shambhala Spa offers relaxing treatments originating from Buddhist healing traditions. They believe that you can always find tranquility within yourself if you have the right tools. Anti-ageing skin treatments, aromatherapy massages or relaxing hydrotherapy are examples of treatments aiming to enhance your overall wellbeing. 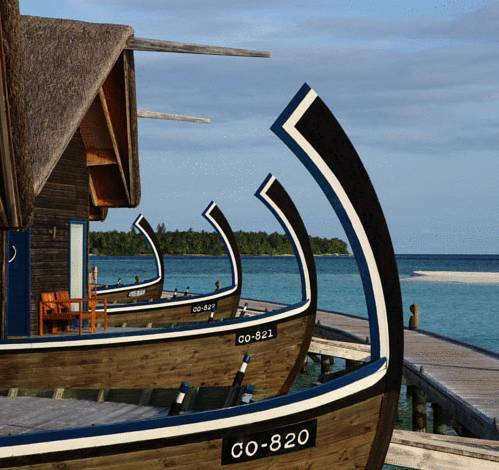 The gourmet cuisine of Cocoa Island by COMO enhances your experience of the ultimate Maldives holiday. Ufaa, located on the west side of the island, is famous for its organic cuisine inspired by Sri Lankan and Indian food traditions. Freshly caught sea food and gourmet dishes prepared with fresh ingredients are served daily. 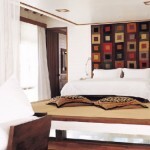 COMO Shambhala Spa offers healthy cuisine to boost your energy levels. The nutritious menu is full of flavours and aims to cleanse your body. 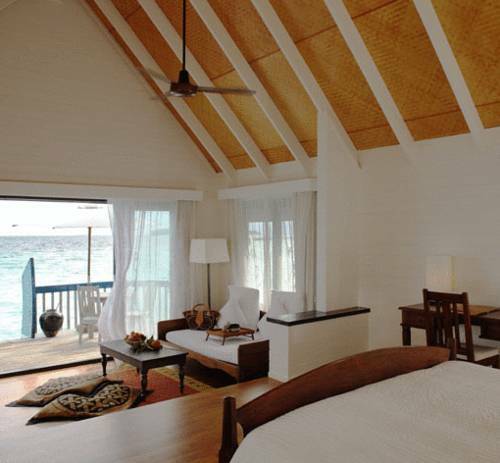 Simply Maldives Holidays offer a Bed and Breakfast option, a Half Board Package and a Full Board Package to guests staying at Cocoa Island by COMO. Please note that these honeymoon offers are subject to a minimum stay of 5 nights.